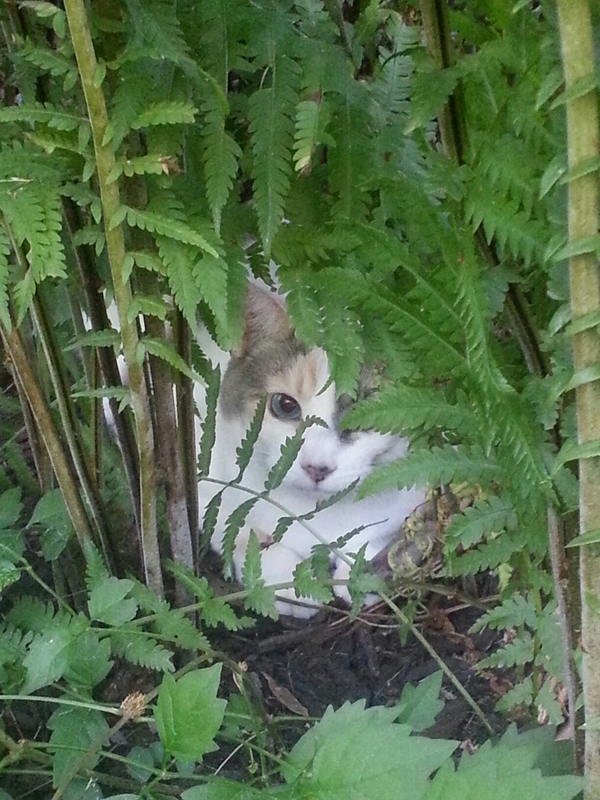 Queen of the ferns, but she’s not here…. really nothing to see here. So cute! Cats are fun. I know. That is hilarious! 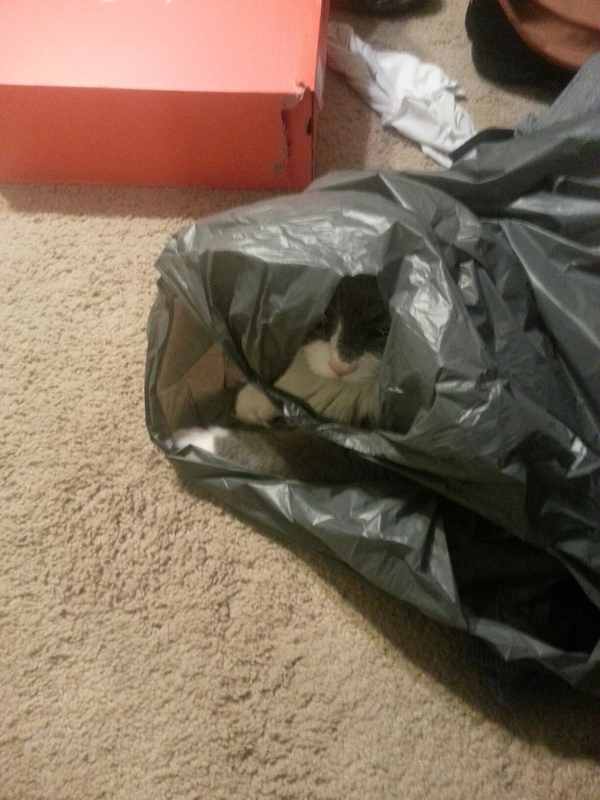 My cat and I would play hide and seek all the time. She would hide behind a couch cover and half of her would be showing!! LOL! I always pretended I couldn’t see her. How cute! I can imagine them hiding in boxes and bags! I really miss my cat. Hahahaha! Oh, but they are worth it!! LOL! My cat was solid white and she was stolen. I just hope she wasn’t hurt. She use to come walking by me when I was on my laptop and touch me with her tail. That was her way of telling me she wanted food or attention. On the days it would rain she would come get me and take me to the back door and cry. (I have a doggie door that she could get in and out of, so I knew she wasn’t asking to be let out). She was trying to tell me to stop it from raining because she wanted to go outside. Hahahaha! We have a cattle call when the word “out” is spoken. Four fuzz balls come flying across the house. They jump down three stairs and bounce off a door to go out. They are only out with supervision. I have never seen a coyote during the day here, but a red fox lives in the woods. They are usually good with boundaries. That’s cute! They love going outside! Mine did too. I can just see them running to the door. Haha! That’s smart to only let them out with supervision. My cat wanted to be out all night because she loved to hunt (gifted me with quite a few things). That is when she was stolen. That’s a shame. I can’t imagine why someone would take another’s pet. I can’t understand it either, but there are evil people out there. I hope maybe a little good finds them at some point. Yes, I hope so too. I hope some good will find them and have them bring my cat back to me. Sorry, I don’t understand that. For every bad thing that happens a good thing will eventually take place of the bad. Oh, I understand. Except that I hope there is more good than bad. Lovely to see you back at Camera Lucida, thank you for joining!